The Football League faces a problem getting plans ratified that would lead to the game's biggest shake-up since the Premier League was formed in 1992. From 2019-20, the Football League wants a fifth division with 20 teams in each. Initial reaction was one of outrage from some clubs at how they found out about the plan. Given 90% - 65 out of the 72 - of the Football League clubs need to vote in favour, that seems like a mistake. 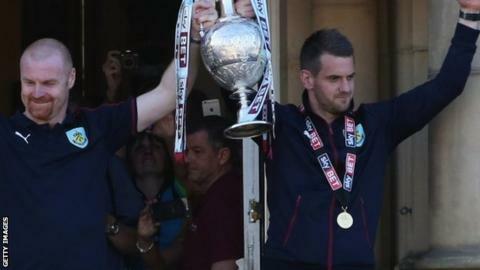 The Football League insisted it sent documentation on its proposals to all member clubs on Thursday lunchtime, but senior officials of two Championship clubs say they were unaware of the proposals until they were reported by the media. The positive argument put forward for reducing the number of teams in each league is that there would be less need for midweek games, when attendances are smaller. It would also reduce the number of away games and, as a result, the travel costs of both clubs and supporters. "That is an utterly ridiculous argument," said one Championship chairman. "For the best-supported clubs, four home league games amounts to between £1.5m and £2m in gate receipts. For away games, our bill is around £2,000 each time. "So, basically what they are saying is give up over £1m and you will save £8,000. Are you being serious?" In 1994-95, the Premier League needed to reduce from 22 clubs to 20. It was managed in one season, by relegating the bottom four clubs and promoting only two from the First Division. The process continued down to the Third Division, which expanded from 22 teams to 24. Reducing a league from 24 to 20 could be done with four relegated clubs and none promoted, five and one, six and two or seven and three. Then you would need to reduce the third tier by eight and the fourth by 12. The best eight National League sides could make up the rump of League Three. An even more radical option would be for eight Premier League reserve teams to be asked to make up the numbers. It is the kind of idea FA chairman Greg Dyke proposed in 2014 - only for it to be instantly rejected by the Football League. However, the presence of eight well-supported 'reserve' teams may widen interest and could be a way of filling the gap in funding created by those eight fewer games. There are various ways of getting there, but the brutal fact is four Championship clubs are going to get axed from the division. Current solidarity payments for Championship clubs not in receipt of parachute payments are £2.3m. For League One clubs it is £360,000 and League Two £240,000. When the new £5.1bn Premier League TV deal comes into force in August, Championship clubs will get a solidarity payment equivalent to 30% of a third-year parachute payment. League One and League Two clubs will receive 4.5% and 3% of a third-year payment. If the current £10m third-year parachute payment remained the same, there would be a difference of around £2.5m. "Why would anyone who had a chance of being relegated from the Championship vote for that?" said the same chairman. "It is the ultimate turkeys voting for Christmas scenario." What is to be gained? Smaller squads for fewer games? Not necessarily. "Unless I am missing something, we would still need 11 starters and seven substitutes," said the Championship chairman. "You can't pick and choose when your players get injured. I don't think we would be able to reduce our squad by a single player." Winter break? Former Manchester United manager Sir Alex Ferguson and Arsenal boss Arsene Wenger spent years calling for a winter break, with the backing of almost every manager. The argument is that the England team would benefit as players would be resting when the pitches were at their heaviest. Goalkeeper Robert Green, then of West Ham, was the last Championship player to play for England, in 2012. The last outfield player was striker Jay Bothroyd, then of Cardiff, in 2010. "You are not telling me this would not have any impact on the England team," the chairman added. What is to be lost? Questions are being asked about the Football League hierarchy's wisdom in bringing forward these proposals - and what they are doing to increase revenues. In 2000, the Football League agreed an ill-fated £315m three-year deal with ITV Digital. Viewing figures were poor and ITV Digital ended up going bust. Sky picked up the TV rights in 2002, paying £95m over four years. Its present deal is estimated to cost £80m a year. So effectively, the Football League clubs are getting 25% less than they were anticipating 16 years ago. On average, they are receiving £796,000 more than they did 14 years ago, when they rushed through a deal in desperation. "It would not surprise me in the slightest if we started to hear talk of Premier League II again," said the Championship chairman. "If this is the best the Football League can come up with, we need to start looking at alternatives." The brainchild of former Bolton chairman Phil Gartside in 2008, the idea was for a second league of 20 to move within the Premier League umbrella. Its most controversial aspect was going to be the introduction of Old Firm pair Celtic and Rangers into the league. As an idea, it never got off the ground. For almost every team in the Premier League, there was a reason to stop Celtic and Rangers joining their competition. Could the passage of time, and even more overseas owners, weaken the resistance? We've launched a new BBC Sport newsletter ahead of the Euros and Olympics, bringing all the best stories, features and video right to your inbox. You can sign up here.